First things first, keep things simple. You don’t have to spend a fortune on decorations to throw an impressive Halloween party – just stick to a simple colour scheme with bright, bold colours. Classic Halloween colours are black, white and orange. To give your Halloween party a funky, modern look, you could mix and match your party essentials like tablecloths and napkins, cups and plates. 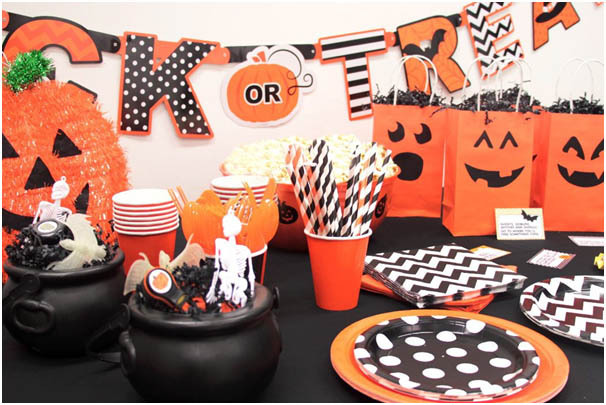 If you are decorating your marquee on a budget, a simple trick or treat banner look great amongst your other party supplies. 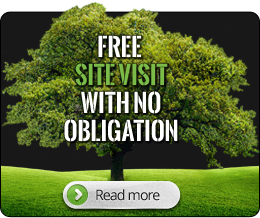 You can go large and expensive or plain and simple depending on your desired affect! Another idea instead using ordinary bowls, is to use mini cauldrons for a spooky way to serve your party food! 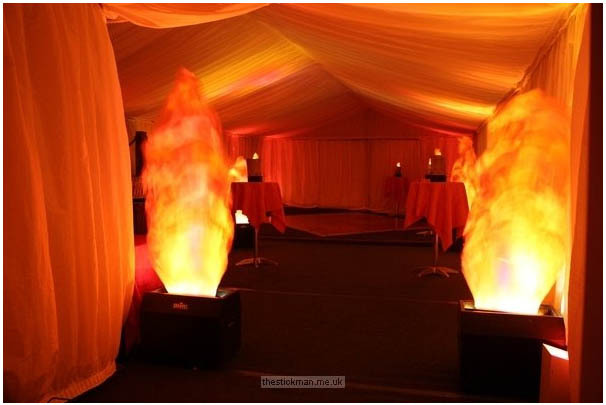 The décor inside the marquee can help to deliver the perfect party atmosphere. Lighting is very important when it comes to creating a spooky Halloween theme. Colour washed walls and scary shadows can send a shiver down your spine! Fancy dress is a given at any Halloween party – so why not hold a costume competition? 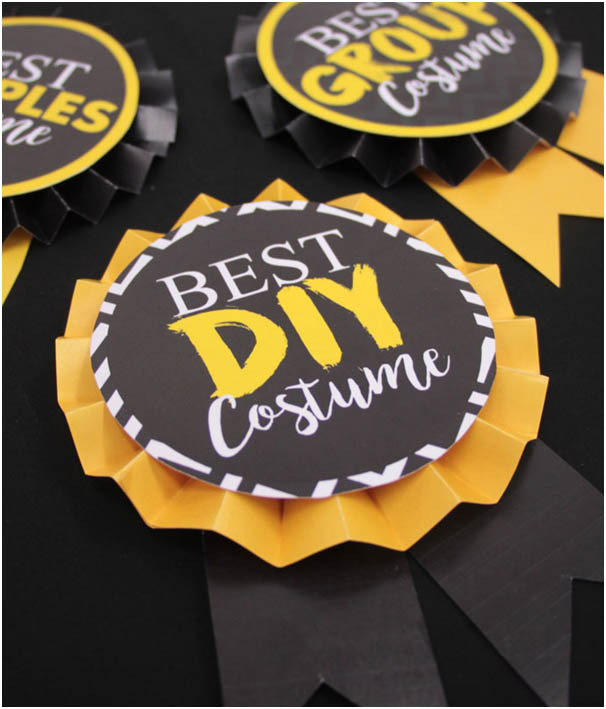 Prizes such as DIY rosettes to give to the winners of your chosen categories can go down a storm with guests, and it encourages everyone to make that extra bit of effort! Categories may include Best & Worst Costumes and Best Couple’s Costume. Finally, give your guests something spooky to take home! Paper pumpkin party bags! You can make these yourself or buy them in! They certainly look the part, and who doesn’t like a few treats to take home at Halloween, right?! Isn’t that the whole idea? !